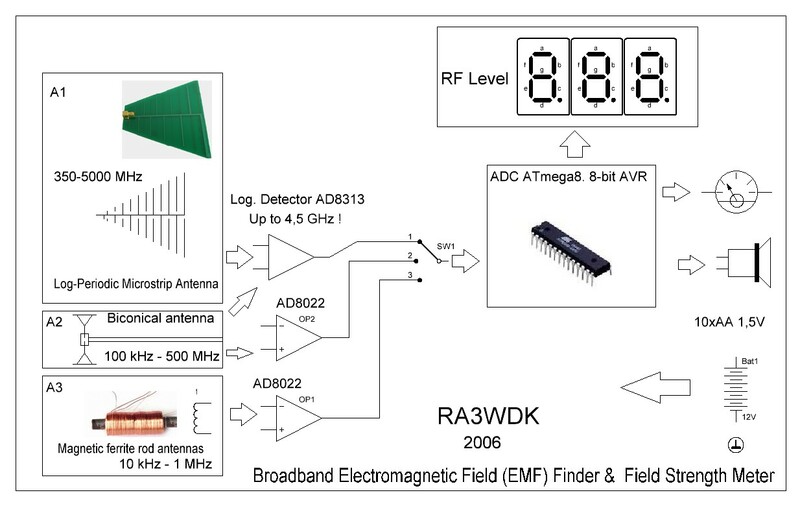 The BEMFF&FSM can Find, Detect and Measure Electromagnetic Field from many sources, including computers, TV&Audio, Broadcast FM transmitters, GSM/WiFi/WiMax, Microwave ovens, Electrical power lines. 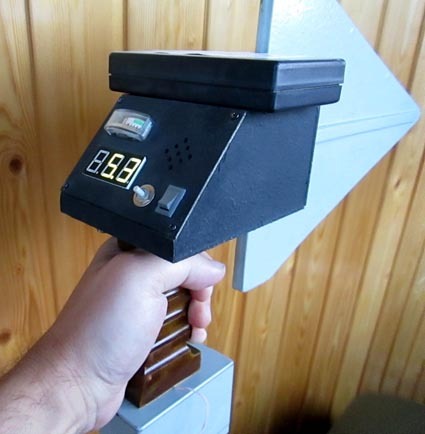 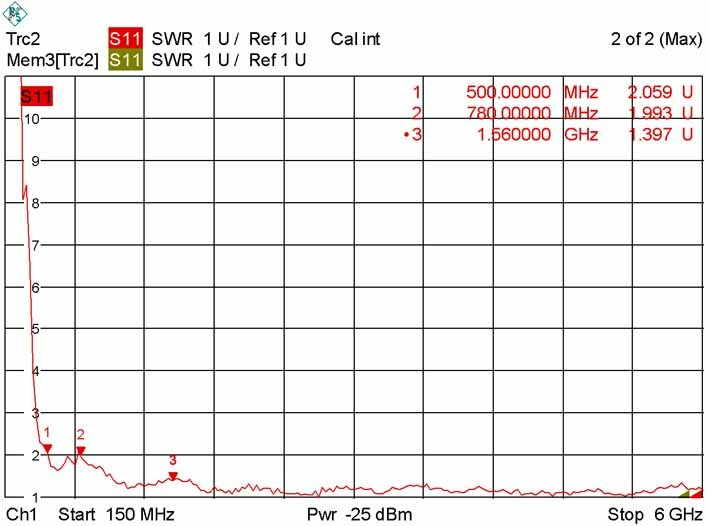 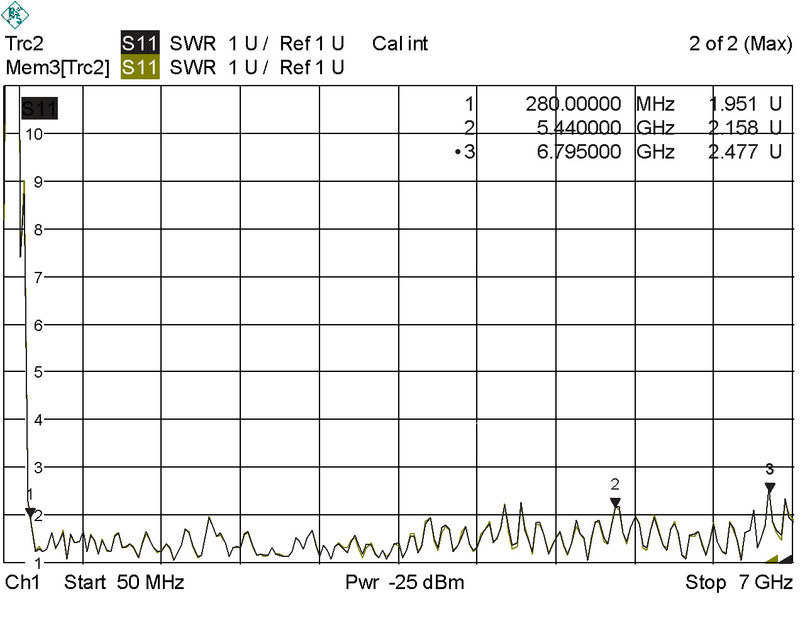 Detect EMF is in BroadBand from extremely Low Frequency to Microwave (up to 4,5 GHz). 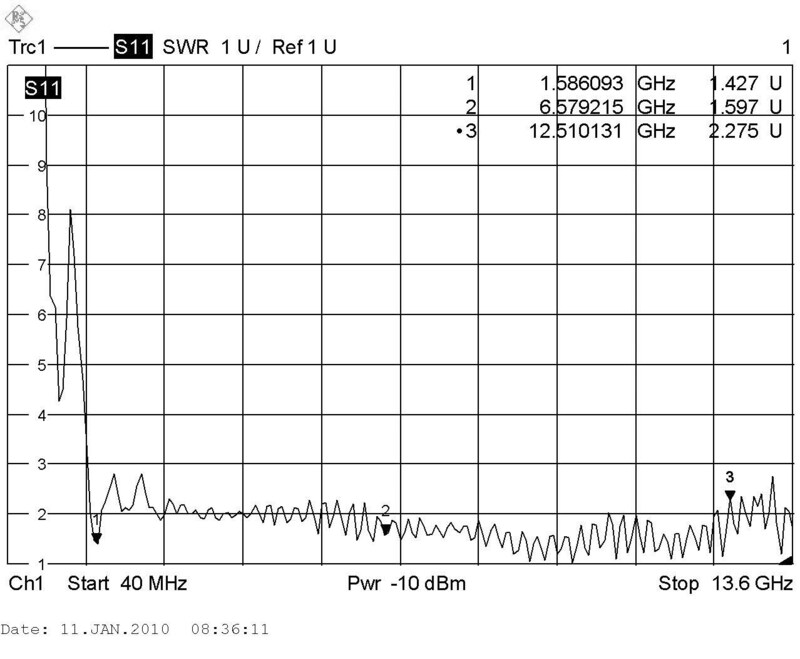 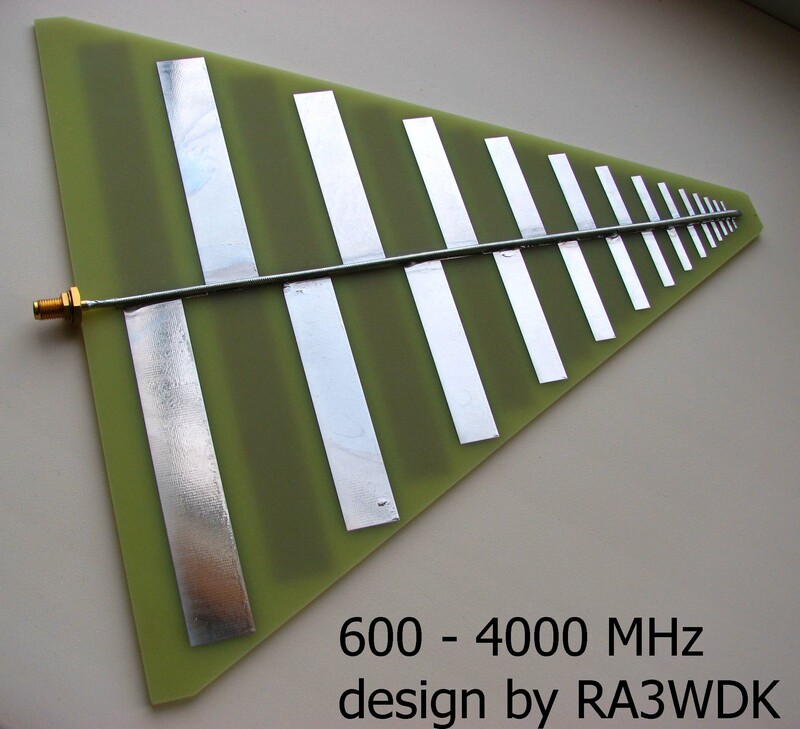 Find and Measure is in actually band from 50 MHz to 4500 GHz (with optional antennas system can use from 100 kHz). 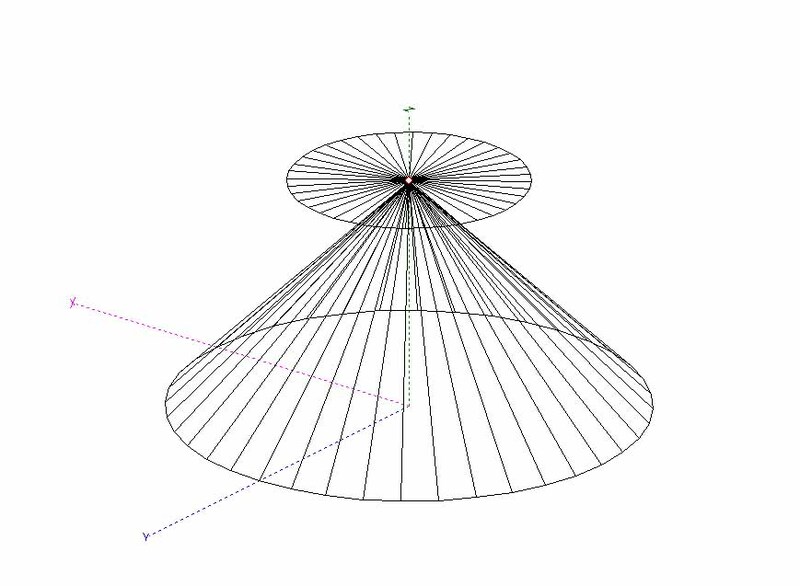 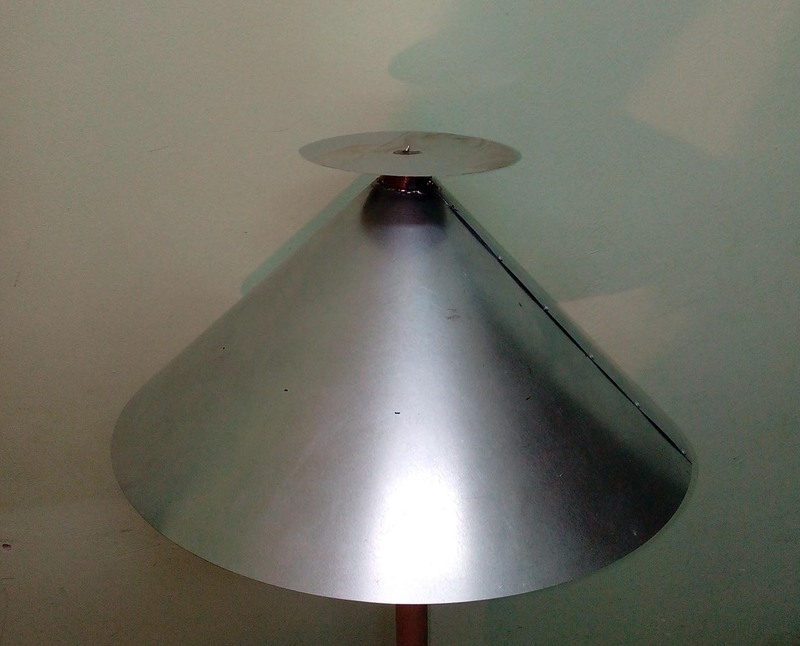 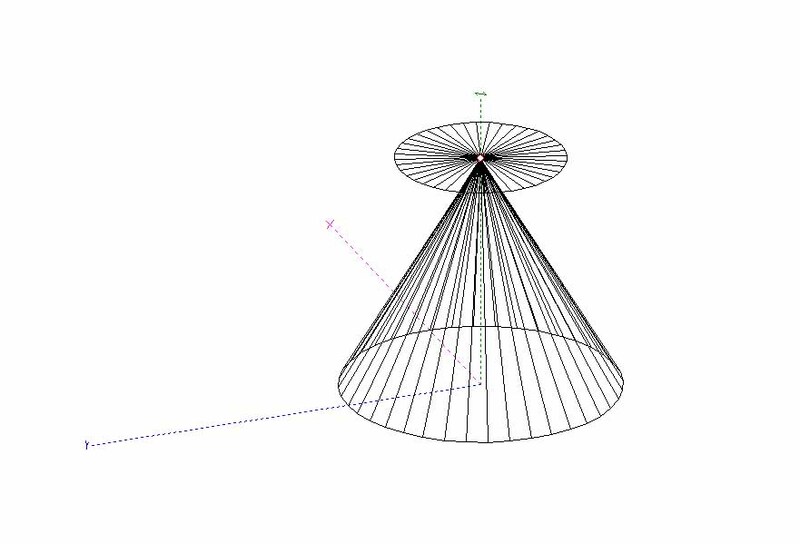 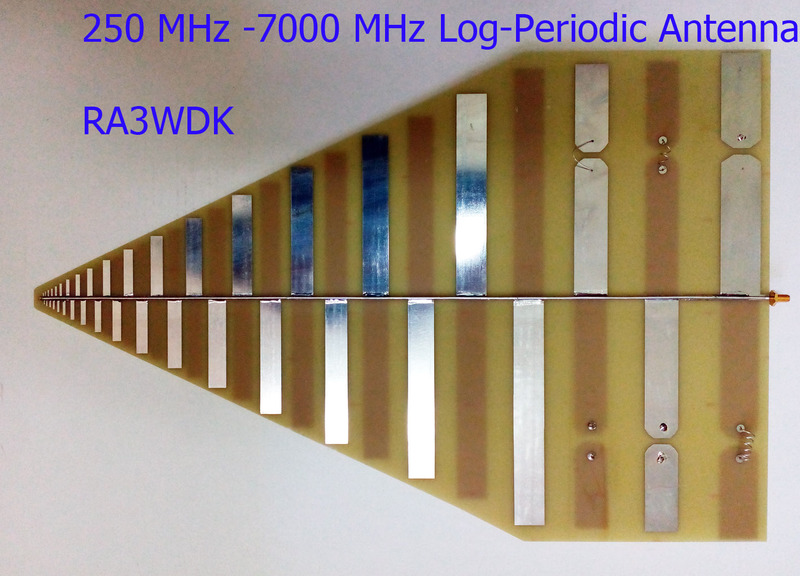 Logo periodic antenna has been made for Band 400-4500 MHz (about 4-5 dBd Gain). 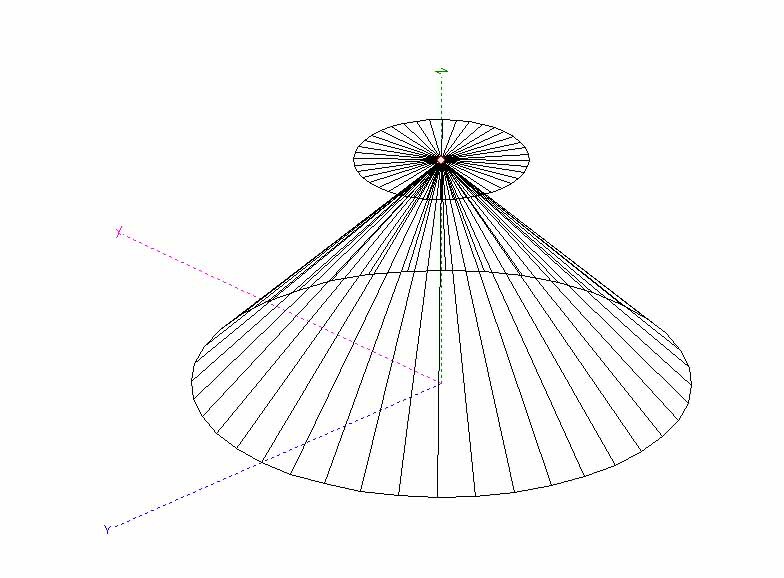 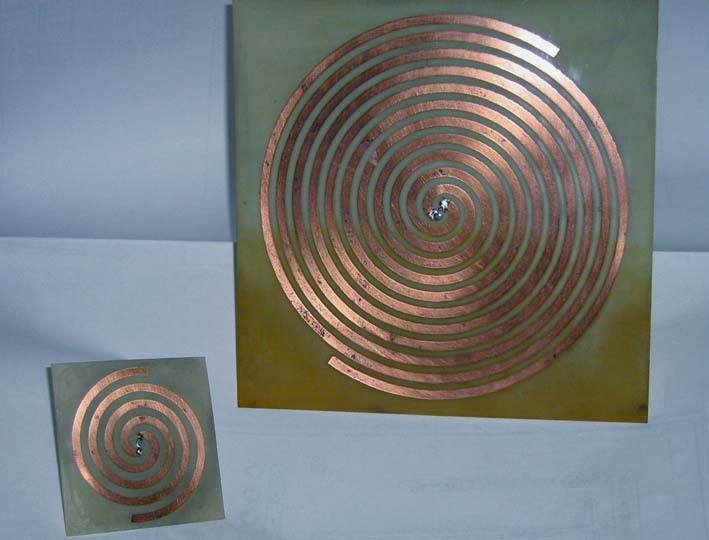 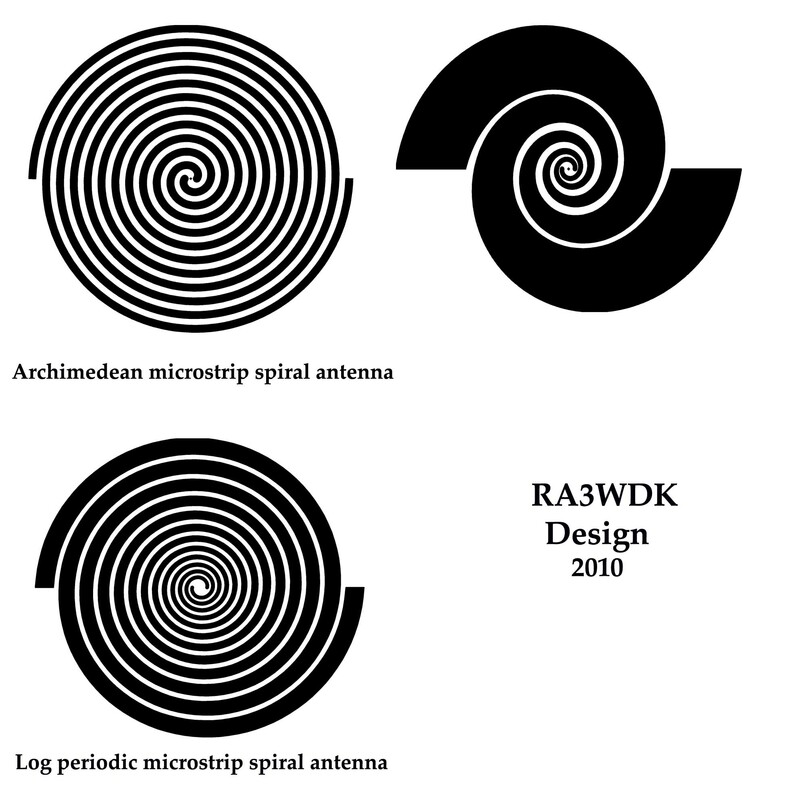 For frequency above 400 MHz can use others broadband antennas ( Spiral and others ). 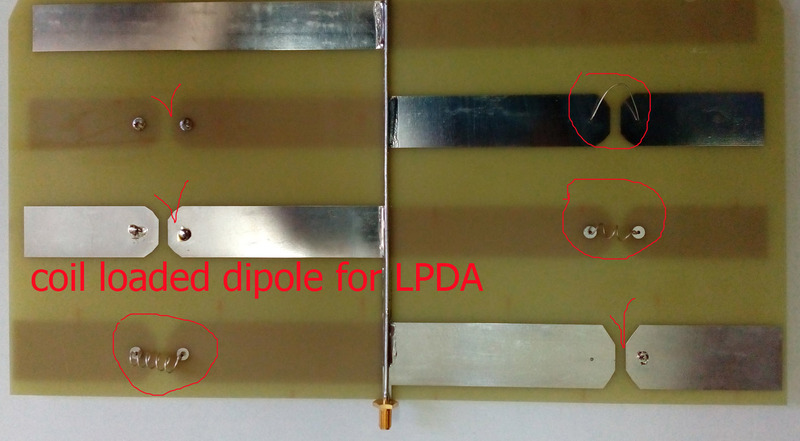 Boxing Up : Im used Home made box with external box for power battery cell (10 pcs AA size).